The Babybjörn Baby Carrier One Air ticks all of the boxes. Lucy Dartford, mum to seven-month-old baby Zuri, reviews the new Babybjörn One Air baby carrier. With lots of trips on the agenda, I wanted a baby carrier that could handle different humidity levels and felt safe. The Babybjörn Baby Carrier One Air ticked all of my boxes. This has to be one of the most attractive carriers I’ve seen. Neutral in colour, elegant in design, it blends in stylishly with everyday life. The breathable mesh fabric not only looks good, but makes babywearing significantly cooler for us both. Very easy to use. 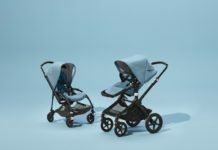 I’ve travelled to various destinations abroad with it, and at times have had to pull it on at speed: in all weather conditions, at all times of days, and while my baby is screaming! Luckily, once it’s set to fit your body, it’s very easy to get on. The easy-to-use straps make securing Zuri a cinch. I love the fastenings too: they have a satisfactory glide-and- click motion. The only issue I faced was when positioning her front facing the flap kept popping up, but I just improvised and twisted the straps to stop this from happening. 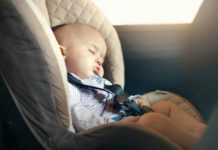 Zuri often falls asleep in it, even at seven months and front- facing, she’s so content that she drifts off. She’s very happy to be close to me, and because of the fabric she can stay cool too. I’ve been in busy, bright and noisy airports and she’ll still fall asleep. The shoulder straps are padded and comfortable, I’ve walked miles in this carrier with no back complaints! 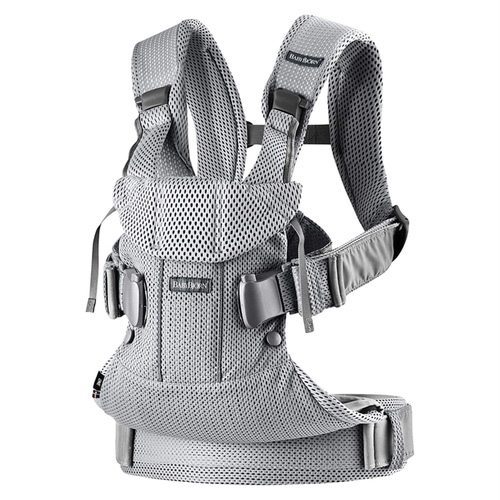 Hands down, the Babybjörn Baby Carrier One Air is a fantastic all-rounder. 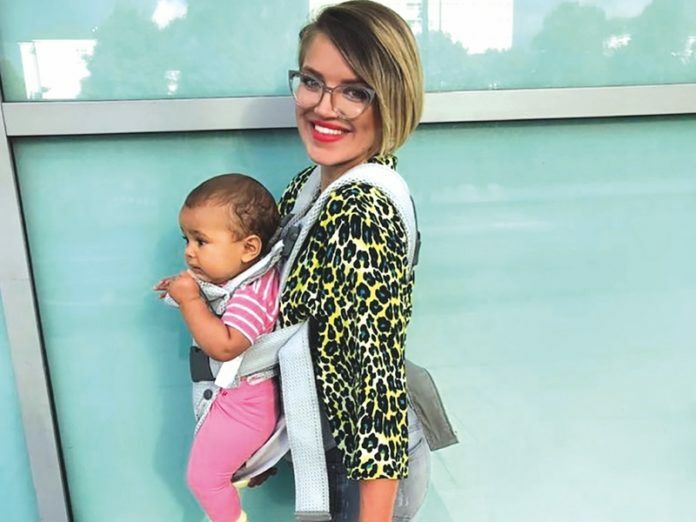 I’m a single mum, and only having one set of hands meant that this carrier was a real on-the-go godsend. I now take it everywhere with me.